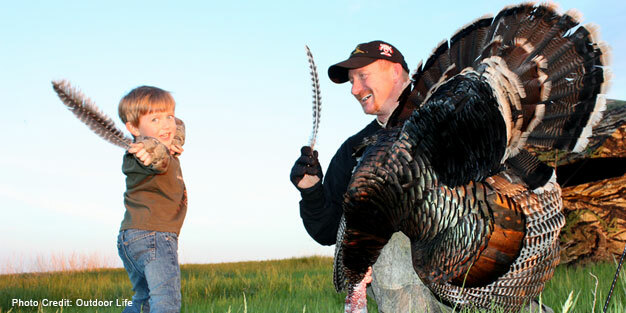 Turkey hunting is a perfect opportunity to get a novice involved in hunting. There is so much they can learn. Plus, hunting is a form of wildlife research and ultimately wildlife management. As a hunter, a child will learn about wildlife identification, animal habitats, animal migrations and so much more. It creates a connection and responsibility between them and their surroundings. Many hunters become stewards to the Earth. 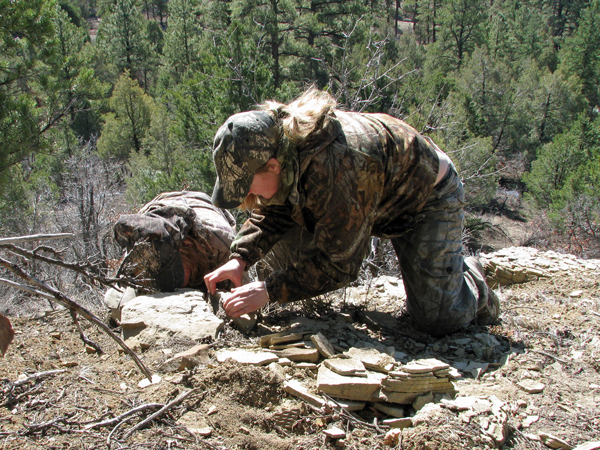 Educated hunters ensure the future of the sport. This is why I write a lot about getting the next generation of hunters ready to take over this incredible sport. We introduce our children to shooting and hunting to preserve traditions from long ago. Years ago people hunted out of sheer necessity. It was a matter of survival, and an avenue for putting a meal on the table. In this day and age hunting has evolved into so much more. Hunters contribute to the welfare of parks and wildlife through their actions as well as through their purchases of hunting licenses, habitat stamps, and through the purchase of firearms and ammunition. The dollars hunters have spent on the sport have gone to protect wildlife and fund organizations such as departments of wildlife, Audubon, and conservation organizations such as Pheasants Forever and Ducks Unlimited. With all the contributions hunters make to our habitats and communities, it makes sense to introduce your young shooter to the sport. So, how do you ensure your child has fun and becomes the next steward to the planet? Before you start chasing gobblers, first thing’s first. 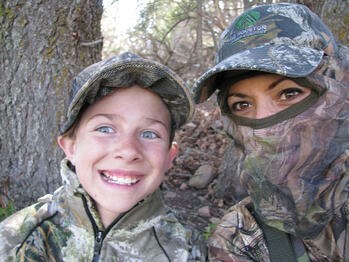 Take your child to a hunter safety course. They are offered by most departments of fish and game as well as on-line. Due to the many hunter education programs around the world, hunting is one of the safest forms of outdoor recreation. Hunter education teaches ethics, respect, sportsmanship and wildlife identification. It will also teach the student to become a safe hunter and ultimately a successful one. If you want your child to have fun on the hunt, it is important to have an appropriate tool. Check local hunting regulations to ensure you know proper barrel length and shot size for the hunt. There are many sizes and caliber variations in the shotguns available for youth. Shortened barrel lengths and smaller stocks will allow your child to be more comfortable and accurate. 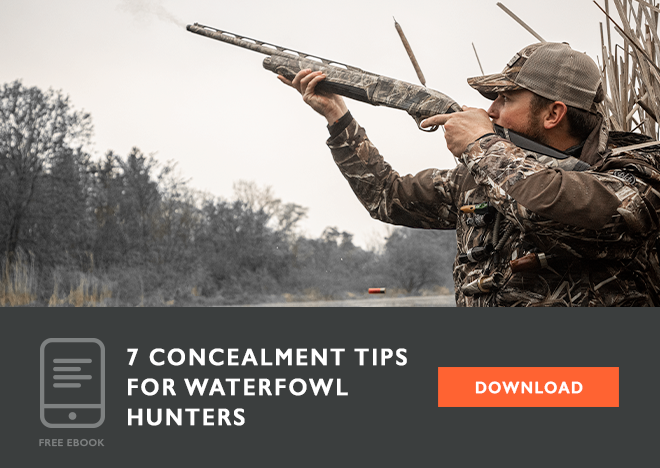 A comfortable fitting gun will make for a more confident shooter when a giant tom comes strutting out of the brush. Once you have acquired the proper gun, you have got to take the child to the range for practice and to pattern the gun. Take into consideration the difficulty of acquiring a target and the need for reloading with a pump shotgun. Make sure to practice this from a variety of shooting positions, so your young one is comfortable using their gun in the blind or field. On a side note, be prepared to possibly have to pack said shotgun equipment around in the field for your young hunter. We all want our children to be self-sufficient and independent citizens of society, but it may not have to happen the very first time you head out. Depending on the child’s age you may have to be a Sherpa from time to time. Along with helping the child out with the tools of the hunt, it will be a relief and much more enjoyable if there is no pressure. Sometimes we get so caught up in the goal of filling the tag that we forget about having fun. If the child gets bored faster than you would like, take a deep breath, and say, “Okay.” It is all right if they aren’t hooked the very first time out. Based on their personality, you will determine how much to push them. If you happen to be with a kid who has already been pushed enough, start looking for signs of the animal you’re hunting. Start teaching them about habitat, feeding areas, predators and anything else you come across. Whatever you do, don’t get frustrated if they are not as gung-ho as you. As a good mentor, it is important to include the child in learning about the animals you’re hunting. Do this both before and during the hunt. In the field, you may spot a rub and see if your protégé sees it as well. If they don’t, be sure to point it out and explain what it is and how it got there. Look for tracks, bugs, lizards, fossils and other “treasures of the outdoors.” Shed antlers are even more fun than finding an Easter egg. If you find a good buck track and happen to be chasing one, ask your young hunter which way it went and see if they can track it. Do your child a favor by asking them questions. If you Include them in the decision making during the quest, they will begin to understand why we do certain things during the hunt. After you’ve had your morning sit, ask them which way they think the turkeys went. Ask them if you should sit and call, wait, or get up and go after the birds. If their decision isn’t the one you would have chosen, it’s okay. Go with it. You never know, it may work out. Or you may have to come back to hunt tomorrow. They will learn from their decisions. *Note: Always keep safety in mind. You may have a young one that is fidgety and cannot possibly stay still, or it may not be appropriate to spot and stalk hunt in your neck-o-the-woods. No problem. Use a blind to conceal movement and allow the child to relax a bit. Bring games for them to play, or a camera to use, as you sit in the blind or stand. You should also pack food. Nothing can bring a hunt to a halt as quickly as a child crying “I’m hungry.” The child will be able to sit quite a bit longer and you will not have to lean over and “shoosh” them as much. You’ll hear that tom gobble from the brush. As he makes its way into shooting range, you can gently motion to the child to put down their food or games and prepare for the shot. Hunting is a very important tool for wildlife management. It will help ensure future health and populations of all animals. You and your child will spend priceless moments in the outdoors and build a connection with one another and nature that is invaluable. Be patient and above all have fun.